When it comes to PC computers, there are basically two styles to choose from: a plastic box, or a flashy case with LED lights for gamers. What if neither of those two options fits your personal style? Monkey Bidouille has an aesthetically pleasing solution for you. Don spoke with Antoine from Monkey Bidouille at CES 2018. The company is made of just two people. They have created a PC case that is made of wood and aluminum. It uses noble materials, and is handmade in France. Their PC case is designed to sit horizontally. You can put whatever components you want to inside the case. 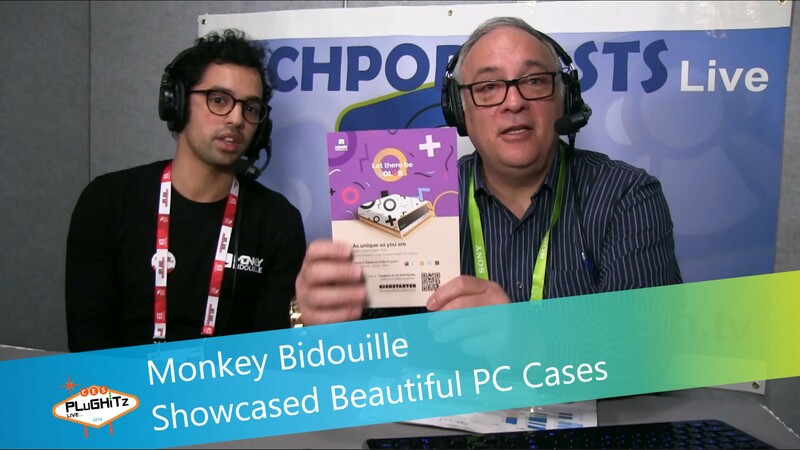 Monkey Bidouille brought a prototype of their PC case to CES 2018. They launched a Kickstarter shortly before CES 2018, with a limit of 50 units. Their plan is to eventually make it possible for people to customize the design of the PC case when they place their order on the website. The wood can be screen printed, in a similar way to how the designs are placed on skateboards.